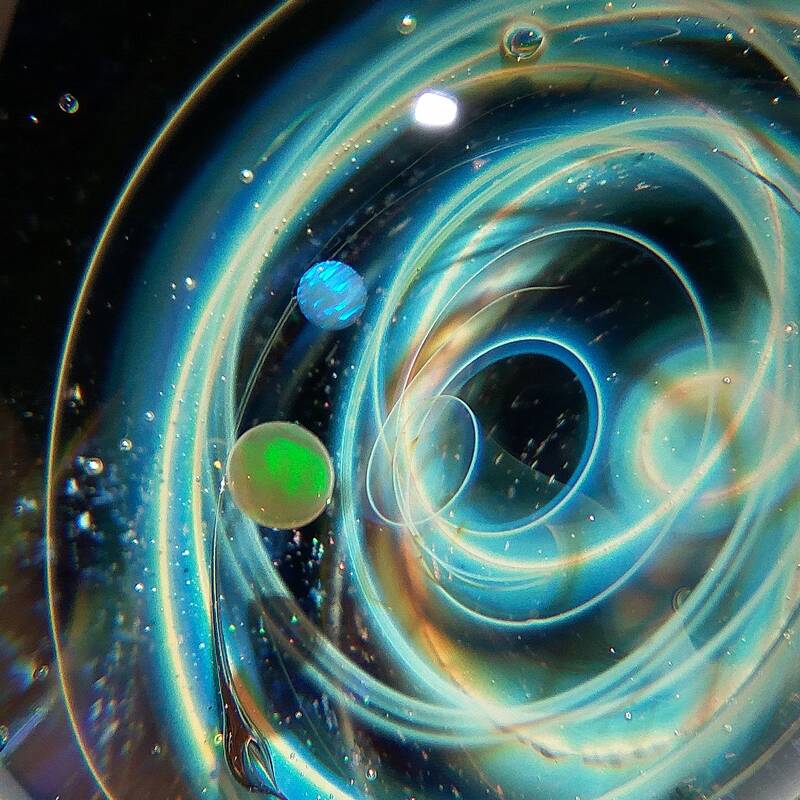 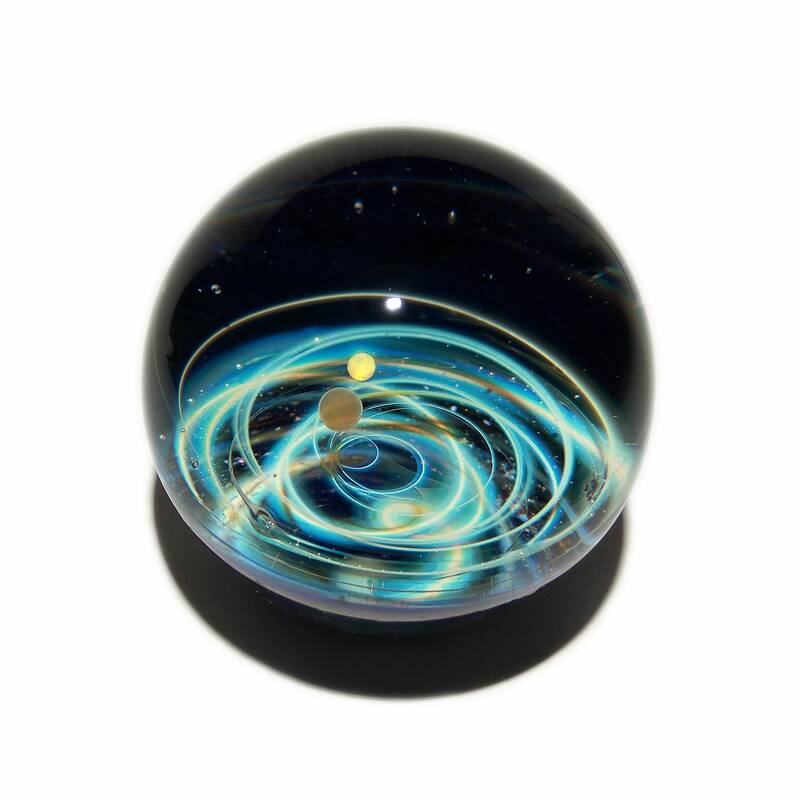 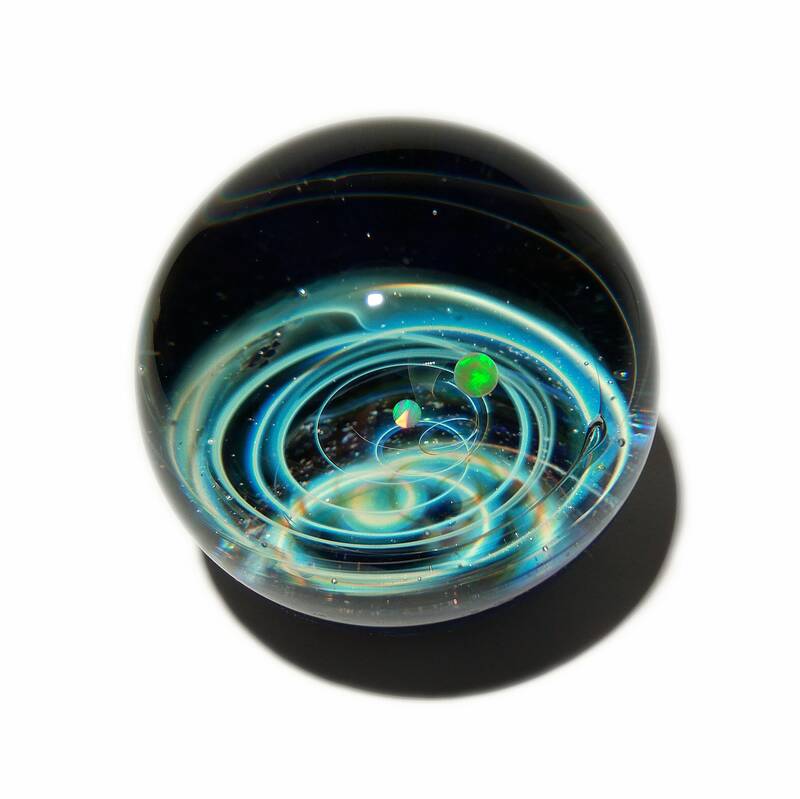 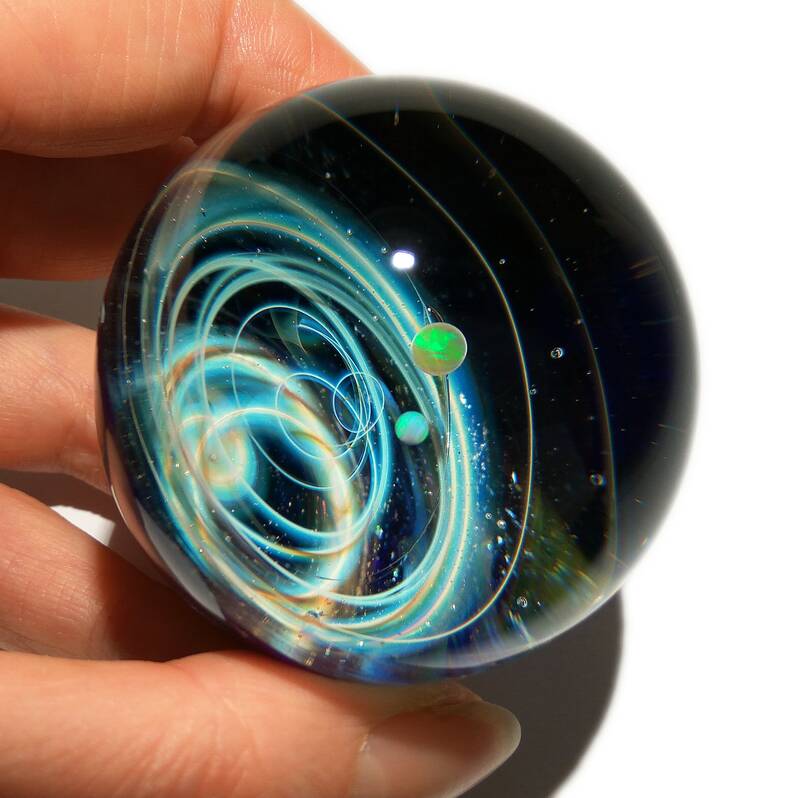 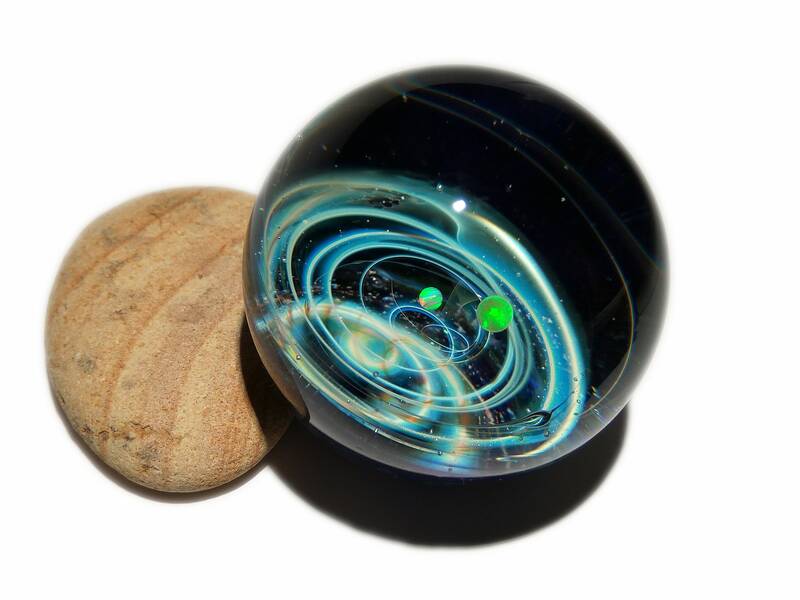 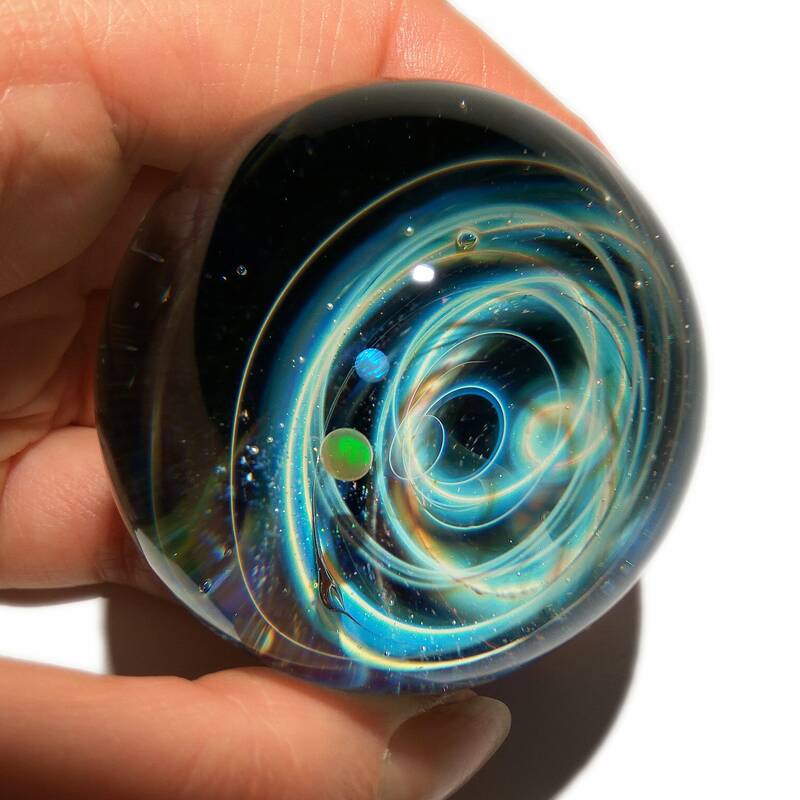 This new large size three dimensional double opal paperweight is handmade out of borosilicate glass with details of pure silver & gold fume work. 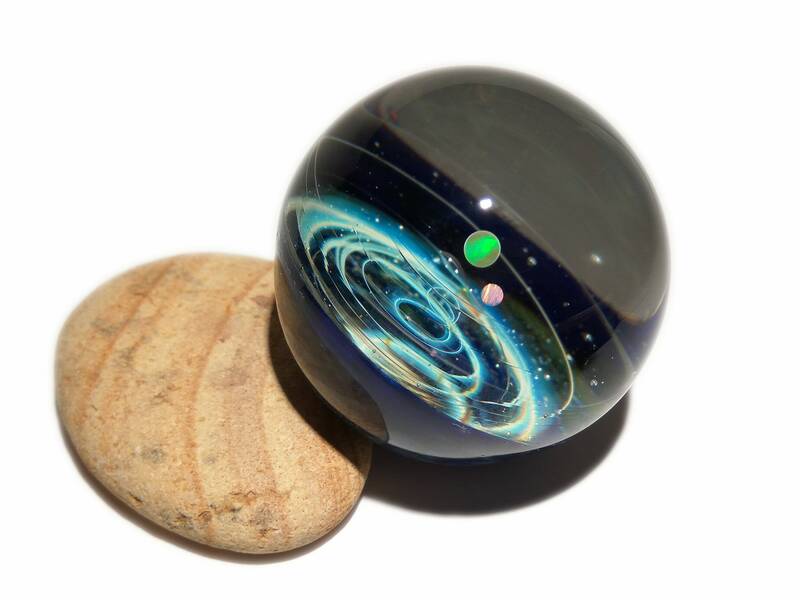 This one of a kind piece of art is a beautiful decoration for an aquarium, office, window sill, bathroom, bedroom, fountain and as far as your imagination takes you. 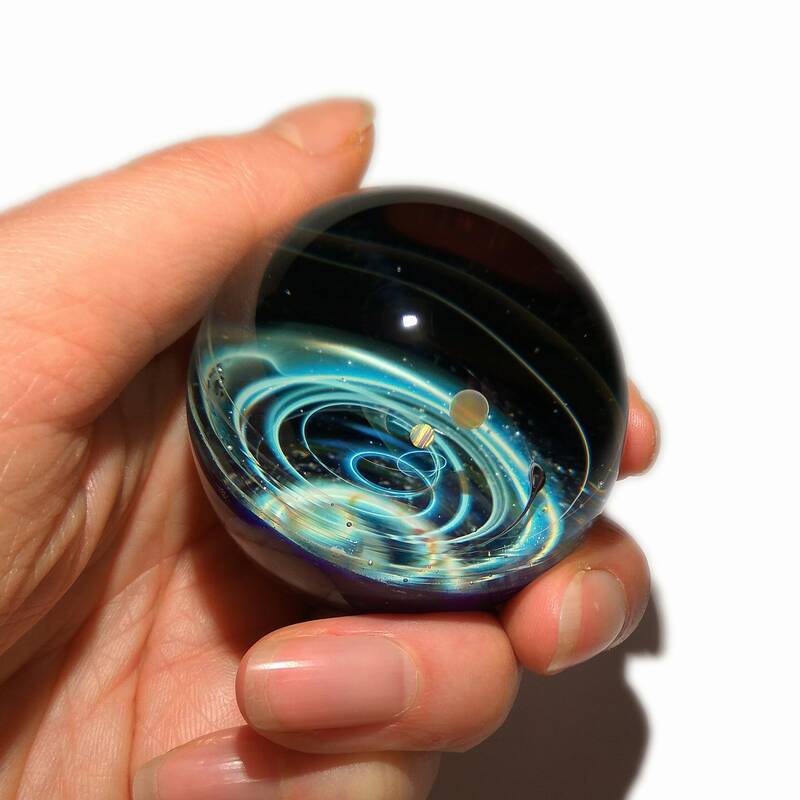 This artistic glass creation comes with a lovely satin gift bag and box which is carefully packaged to keep it safe on its travels.